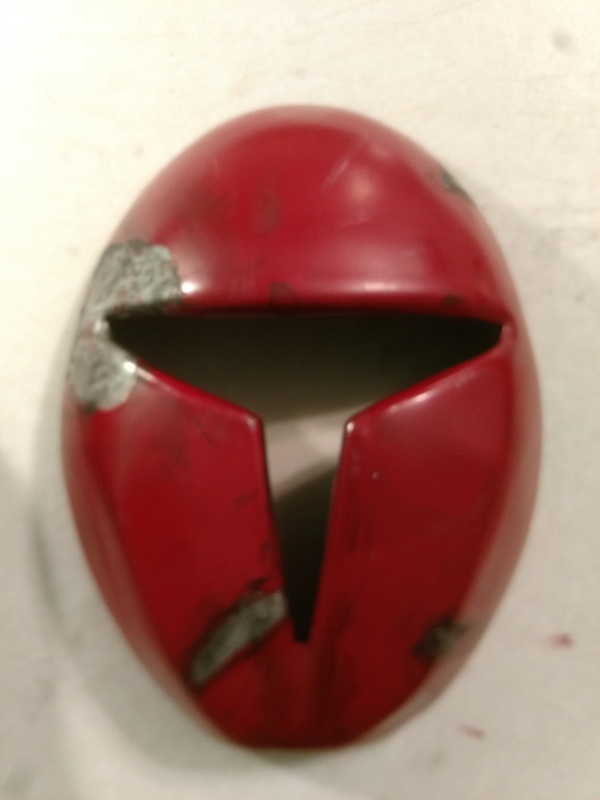 For too long, this has been a concept, obsession and a dream to make a neo crusader. After much brain-storming, planning and praying to the manda, I have begun! 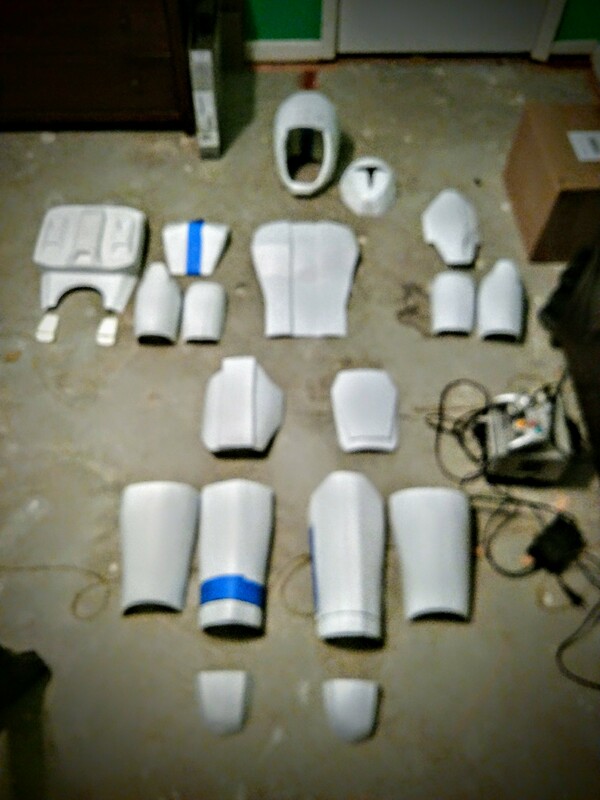 So far, only have the chestplate, gauntlets and thigh plates trimmed, sanded and primed. 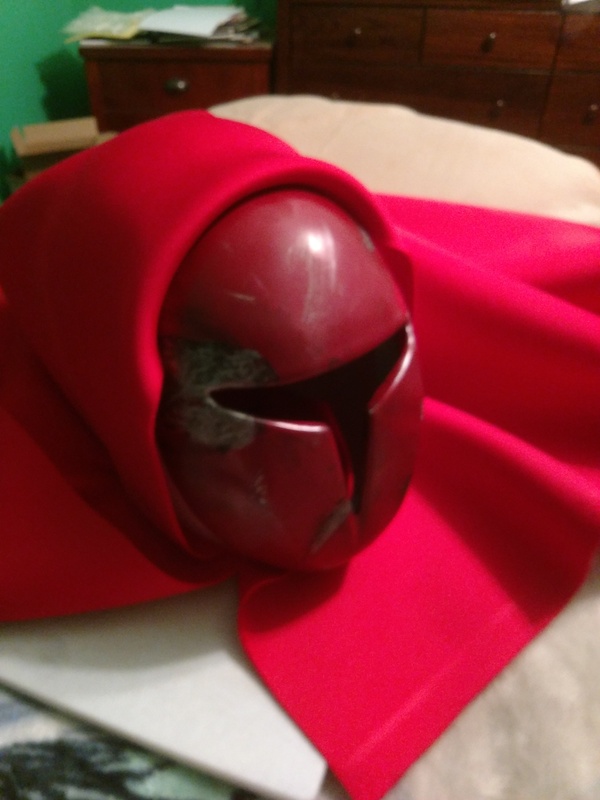 The mask and helmet is complete, just needs the cowl and visor. 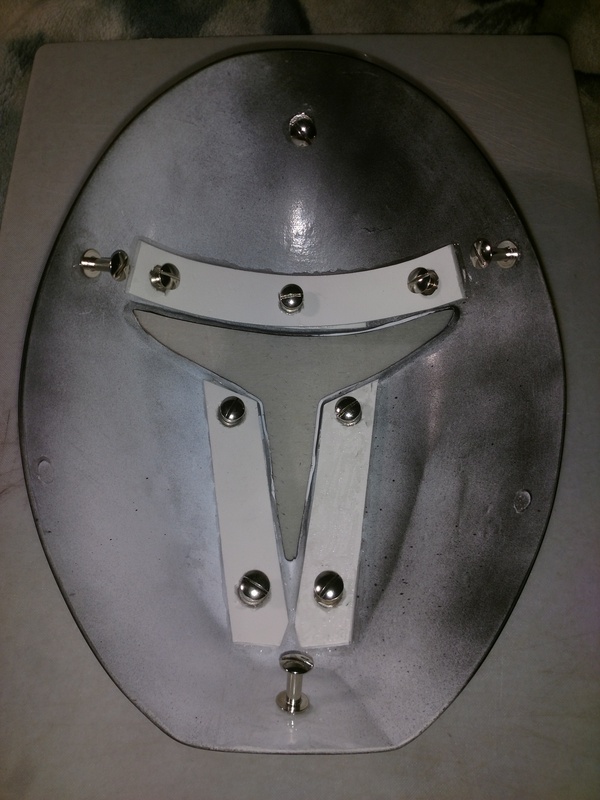 Evolution of the mask/helmet. 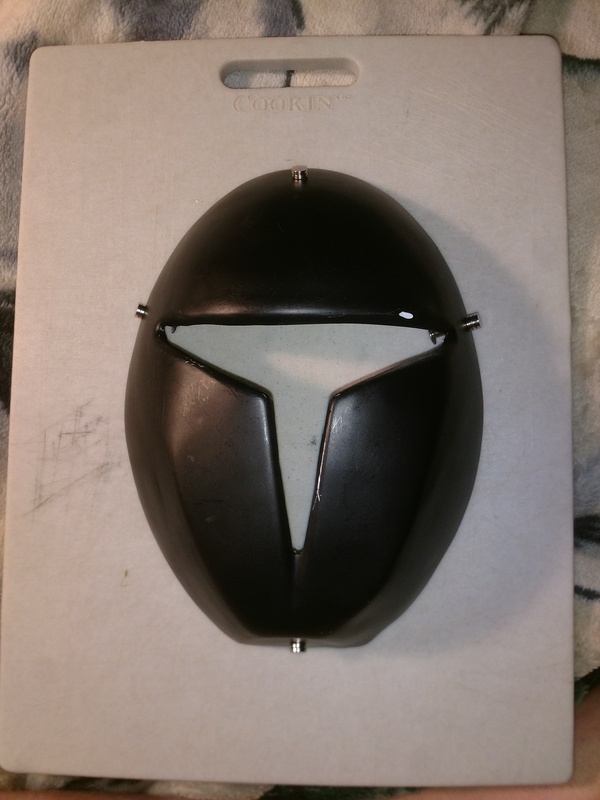 Last pic is the cowl material to see how well it goes with the mask. Red Neoprene; Fits the CRLs to a "T" at the cost of being a little toasty. 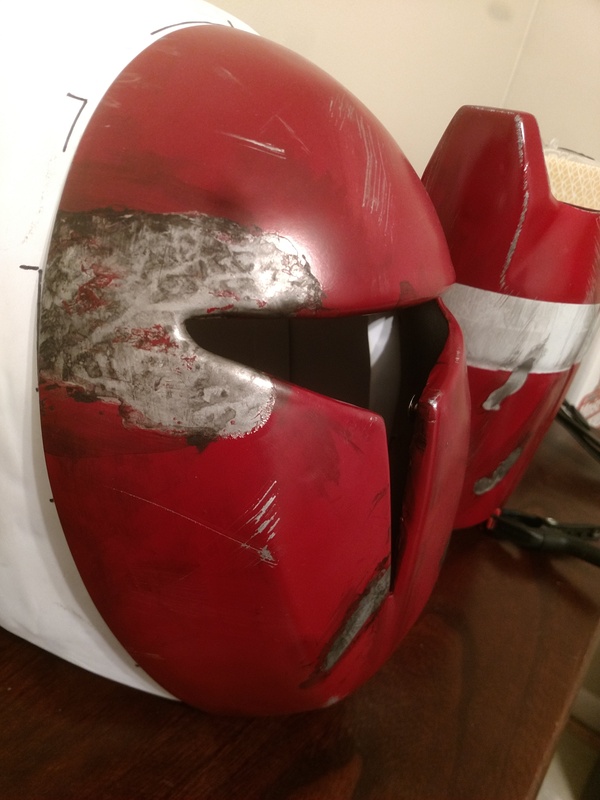 My progress will be slow on this due to post-Hurricane Michael repairs and work, but I do plan on finishing. As always; questions, comments and critiques are always welcome. 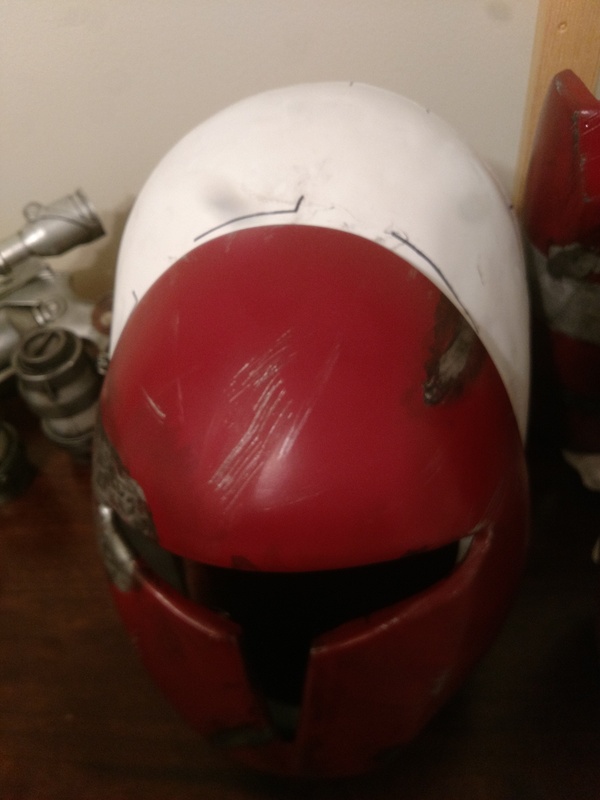 Your paint job on the helmet is pretty OP Vod, if the rest comes out as good you will have a great kit, will be marking this one to watch progress. 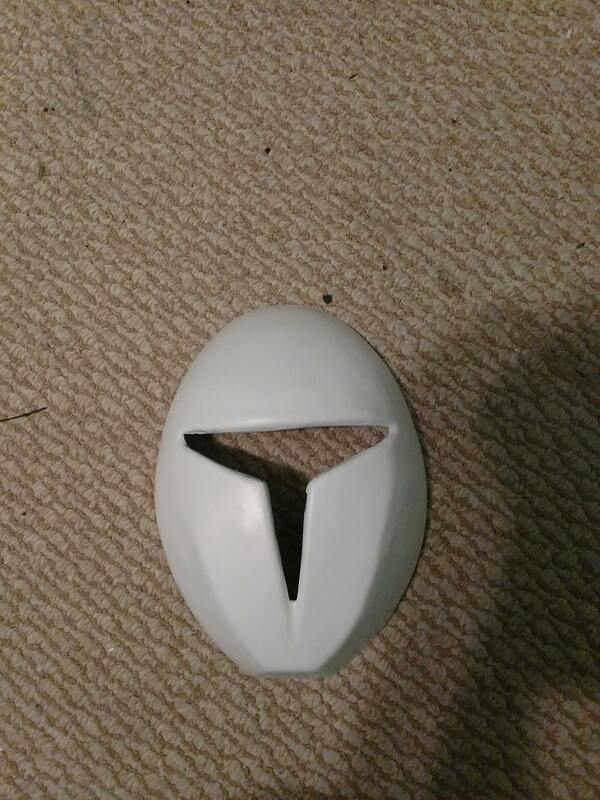 In my opinion the paint chipping is a bit splotchy but the overall detailing of it is great. 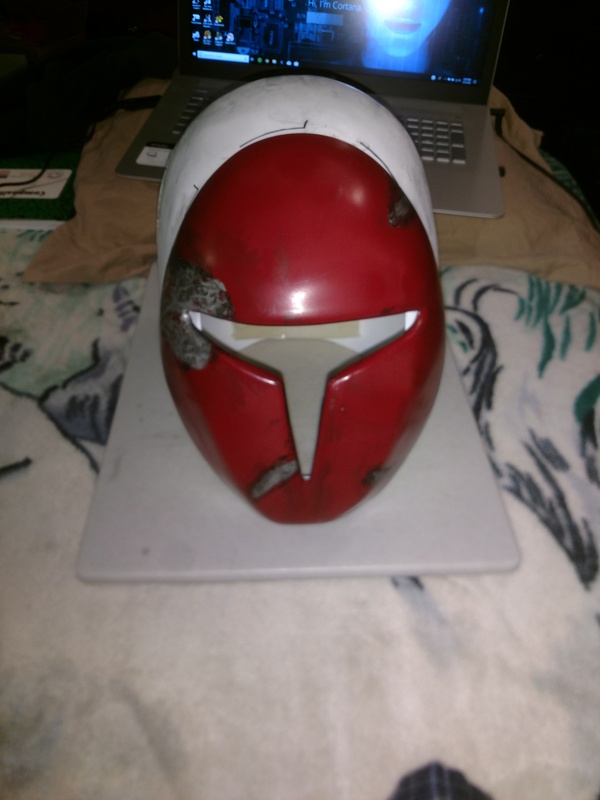 I myself would add some smaller weathering areas around the mask to make it look a bit more realistic but you've got a good start so far! Always nice to see more Neo-Crusaders! Thanks Carnorjax! I aim to please! 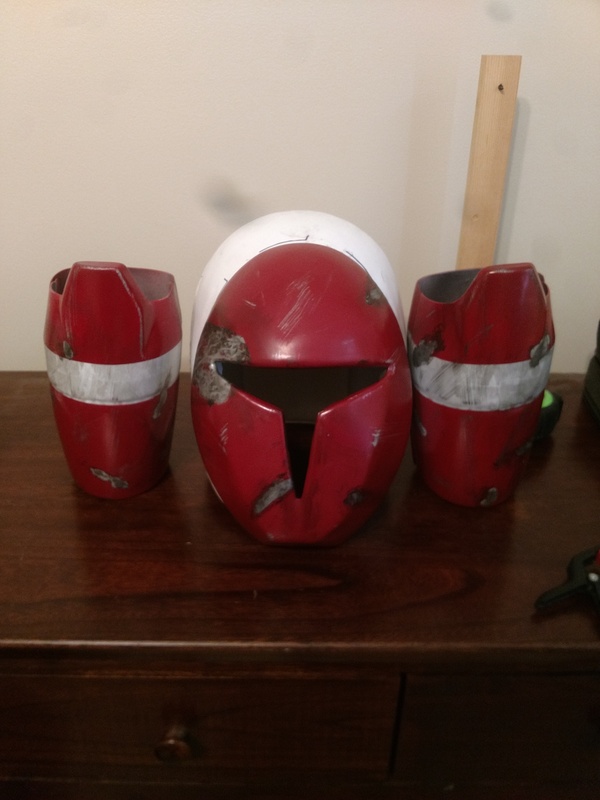 Also, Finished the painting and weathering on my gauntlets. 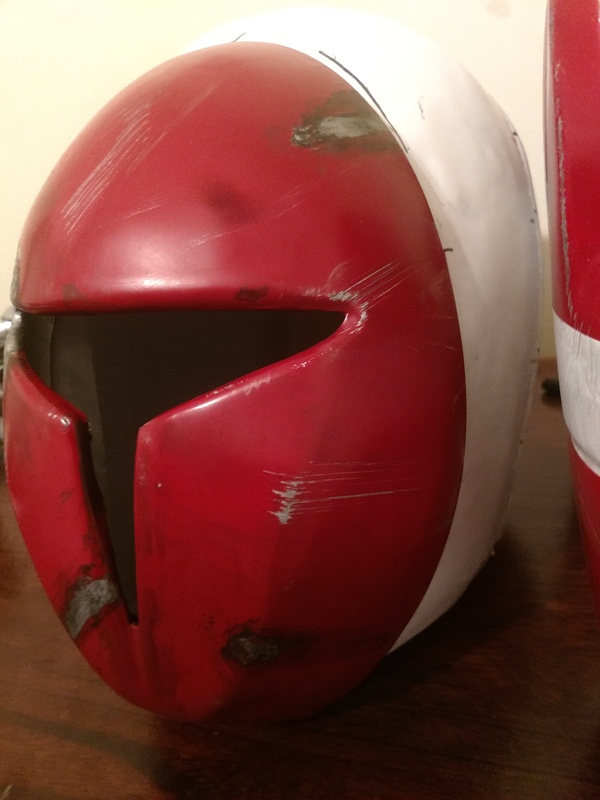 Same weathering techniques as on the helmet. 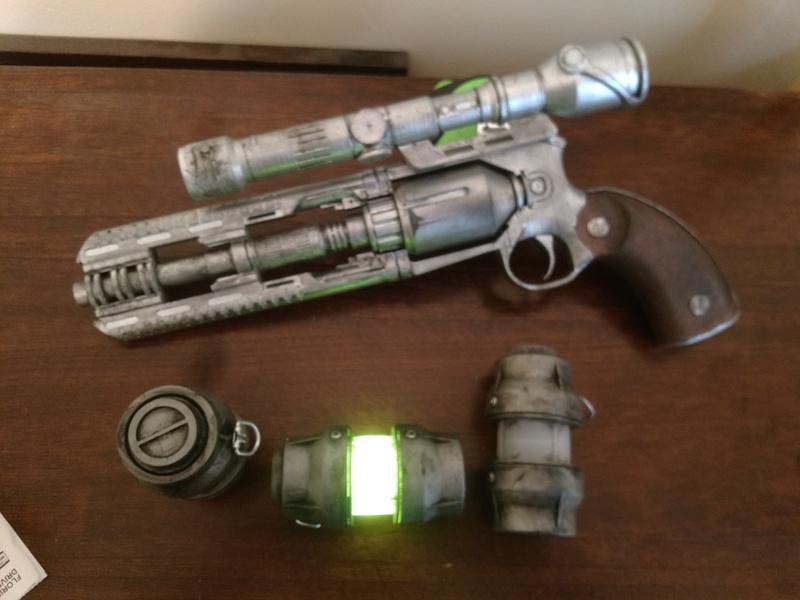 And a little sneak-peek at my arsenal; Blaster pistol and 3 grenades! Those smaller scratches do look great! Personally the large blob of weathering looks rather off to me, but that's just my opinion. Can't wait to see the rest of the build come together. Armor does not make a warrior, spirit does.